The Bible reflects an intimate knowledge of herbs and spices, which perfumed the Jerusalem Temple (2 Chronicles 2:4), sweetened the home (Song of Songs 7:13) and seasoned meals during the Exodus (Numbers 11:5–6). Repeated references to herbs and spices indicate that the people of the Bible knew how these plants tasted, smelled and looked, where they grew and what medicinal value they provided. The Bible never gives a specific word for spices, the aromatic vegetable products derived from the bark, root or fruit of perennial plants. In the Bible spices are used primarily for religious purposes—especially as incense. “Spiced wine,” literally wine of a mixture (of spices), in Song of Songs 8:2 is the only Biblical mention of spices used as a flavoring. Displaying a prism of colors on stringlike petals, the flowering caper plant grows on the mountains, rocks and walls of Israel, including the Temple Mount’s Western Wall. As soon as this rare beauty blossoms, however, its seeds are scattered and the flower dies, which is why it symbolizes the shortness of human life in Ecclesiastes. The Bible likens manna, which some scholars have identified as the honeydew secretion produced by scale insects that feed on the sap of the desert-growing tamarisk tree, to gad, usually translated as “coriander.” However, coriander’s brown grains do not resemble the white drops produced by these insects. This has led some scholars to suggest different identifications for gad, while the medieval Bible commentator, Rashi, suggested that the comparison was not in color but in their mutual roundness. Coriander Seeds. Photo: David Darom. Mosaic law required the tithing of the produce of the land (Leviticus 27:30; Deuteronomy 14:22–23). Jesus condemns the Pharisees for carefully observing this requirement—by extending it to the smallest of plants—while neglecting far more vital laws. Little is known about the early uses of dill, although a papyrus dating to 1536 B.C.E. describes it as a cure for headaches. A member of the carrot family, dill has been grown in the Holy Land since ancient times, but it appears only once in the Bible, as a tithe. Both spearmint and peppermint are indigenous to Israel. Although actually a vegetable, garlic is primarily used as a spice, as referred to in Numbers and in talmudic literature. Green garlic (Allium tuberosum), a variation of the common garlic plant, adorns numerous flower gardens throughout Israel, even though many people have no idea that the stems beneath the delicate round head of purple flowers growing in their yard are edible. The common garden onion, a bulbiferous herb, and the leek, a widely cultivated member of the lily family for which the Israelites longed, are depicted in drawings on the pyramids and other ancient Egyptian monuments. During the plague of the firstborn, hyssop branches were used to sprinkle blood on the doorposts of the houses of the children of Israel in their sojourn in Egypt (Exodus 12:21–22). Hyssop was also used in many purification rites in the Temple, though there is no convincing explanation as to why it was selected. A modest gray shrub, it grows wild in the hills of Israel. When Jesus complained from the cross that he was thirsty, “A bowl full of vinegar stood there: so they put a sponge full of the vinegar on hyssop and held it to his mouth” (John 19:28–29). Syrian Hyssop. Photo: David Darom. The balm mentioned in Genesis is thought to be ladanum, a sturdy shrub that adorns the hills beside the Mediterranean. Popularly known as Rock Rose, the plant’s papery white or pink flowers belie the strength of its balm, a yellowish resin that exudes a strong scent of ambergris. It was believed to have medicinal properties and is still used in perfume manufacture and as incense in churches of the eastern rite. Although today the Hebrew term oren is translated as “pine” or “cedar,” in Biblical times oren referred to the laurel tree. The laurel (also known as the bay tree) is not indigenous to Israel, but now grows in the hilly forests of the country and is planted as an ornamental tree in many Israeli gardens. Job describes the bland juice extracted from the leaves of the mallow, which graces every garden, trash heap (where it benefits from high levels of nitrogen) and roadside in Israel. The herb even sprouts from tiny crevices in stone walls and fences—wherever dust and earth have collected. During the 1948 siege of Jerusalem in the War of Independence, starving Israelis ate the mallow leaves in salads, fritters and soups. In Genesis, soon after the barren Rachel obtained mandrakes from Reuben, her sister Leah’s first son, “God opened [Rachel’s] womb” and “she conceived and bore a son” (Genesis 30:22–23). Apparently, the humanlike form of mandrakes was thought to be beneficial in the conception of humans. Throughout history, imaginative drawings of the plant have emphasized this anthropomorphic quality by depicting the roots as legs. At the beginning of winter, the plant produces a rosette of dark green leaves and purple flowers, but in this season the scent is not pleasant. In the spring, however, when the fruits ripen and become yellow, the intoxicating scent attracts both man, as an aphrodisiac, and animal. There are two species of mustard in the region—the “common mustard” (Sinapis alba) and the black mustard; the mustard mentioned in the New Testament was probably the latter. The New Testament repeatedly emphasizes the potency of this diminutive mustard seed, which measures only 1 to 1.5 mm but develops into plants measuring as tall as 6 feet: “If you have faith as a grain of mustard seed, you will say to this mountain, ‘Move hence to yonder place,’ and it will move; and nothing shall be impossible to you” (Matthew 17:20). Garden Rocket. Photo: David Darom. Botanists have identified the Biblical oroth (gargir in the Talmud) with rocket based on the similarity of its Talmudic name to the Arabic name for rocket (jargir). An annual in the mustard family, rocket still grows wild, especially in the hilly areas of Israel. The mustard-flavored buds and flowers are both decorative and delicious, and the leaves are used in salads. Rocket belongs to the Cruciferae (or Brassicaceas) family, whose four-petalled flower appears to form a cross. In Leonardo da Vinci’s Madonna with the Flower (the Benois Madonna), the babe holds a garden rocket blossom as a symbol of his fate. Saffron, which grows wild in Israel, may be the most expensive spice in the world. It takes 225,000 of the brilliant yellow stigmas—saffron’s delicate flavoring agent—to make a single dry pound. Ancient kings were anointed with oils perfumed with saffron, and today meals flavored with saffron are considered fit for kings. “A Biblical Spice Rack” by Devorah Emmet Wigoder originally appeared in Bible Review, October 1997. Devorah Emmet Wigoder authored the book The Garden of Eden Cookbook: Recipes in the Biblical Tradition (Nightingale Resources, 1988). 1. 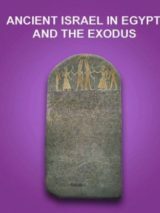 Composed in about 160 to 150 B.C.E., Jubilees recounts Biblical history from the Creation to the arrival of the Israelites at Mt. Sinai. 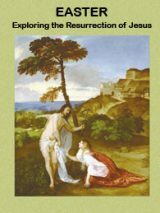 The author quotes heavily from the Biblical text but also omits portions and adds his own interpretations of the texts. See James VanderKam, “Jubilees—How It Rewrote the Bible,” Bible Review, December 1992. With regard to hyssop. The drink offered to Jesus on the cross on a sponge in the New Testament is described as wine , wine vinegar and vinegar, (Jn 19:29, Mk 15:36, Mt 27:48, Lk 23: 36). There is no contradiction in that as Roman army drank posca for 300 years which was sour wine mixed with water flavoured with herbs (wiki) and is presumed by historians as beneficial in killing harmful bacteria in drinking water. The drink offered to the crucified Jesus is likely to have been present as posca for the benefit of the crucifixion party and different from the drugged narcotic ( Mk 15:23 ‘wine drugged with myrrh’ and Mt 27:34 ‘wine to drink mixed with gall’) that Jesus refused at the beginning of the crucifixion. While Roman soldiers used sponges to line helmets as padding they also carried sponges for personal ablutions. The acceptance of the posca by Jesus would have completed the fourth cup of the Passover, ‘the cup of blessing’ thus extending the completion of the New Passover or New Covenant at the point of his death. Hyssop sprigs as a flavouring for posca that may cling to a sponge is consistent with Mark describing the sponge on a reed and thus connects it with the hyssop used to daub the blood of the paschal lamb on the doorpost of the Hebrews (Ex 12:22). It is interesting to know that herbology was known that long before we came to learn about Indo-Chinese herbs today. Many colleges are offering courses on this and many people reported good returns. I use frankincense and myrrh cream as an anti inflammatory rub for my arthritis. It works!